Here's something to hopefully make your Monday a little easier today! Today's look is possibly one of my favorites! I was hurrying through Nordstrom the other day and caught a quick glimpse of these lovely Louise et Cie pumps and stopped dead in my tracks. They weren't a planned purchase but one I'm not even a little bit mad about! They pair so beautifully with my favorite bag and a lot of the items I have been buying lately for Spring! 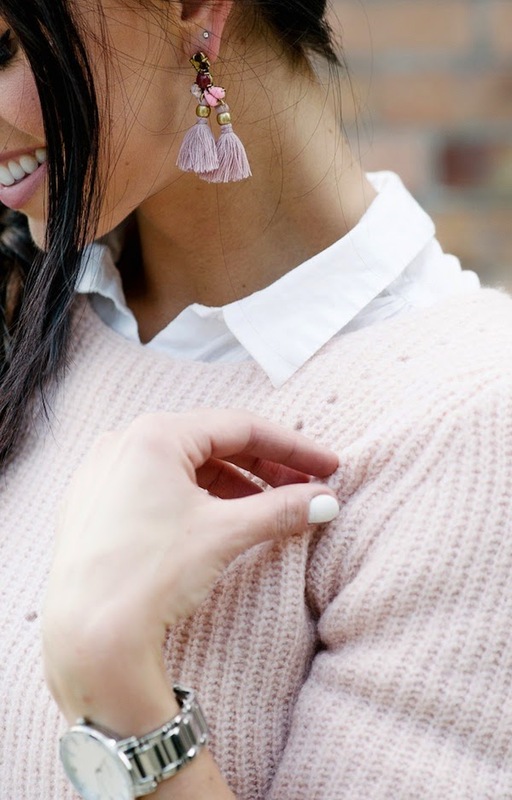 I have really been in a blush/baby pink/cream phase and have been buying lots of whites and pastels for Spring and Summer! What are your favorite Spring colors?! I agree, this is one of my favorite outfits! I love all of the colors and how well they paired together! Love the braid! And those are some killer heels. Oh my gosh, Robyn! I love this soft look on you! 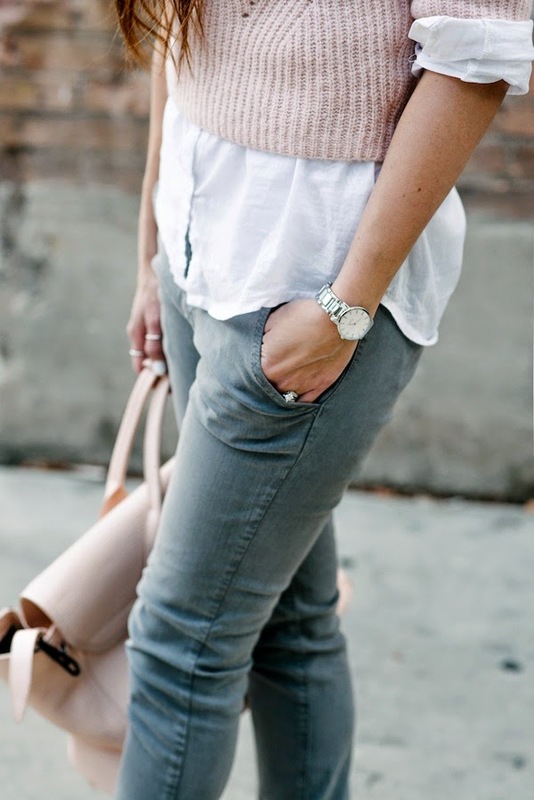 The blush colored sweater pairs great with those grey joggers. Those shoes are to die for. I can't EVER pass up a great pair of shoes either. Such a great color combo. Love these denim joggers! Nicely combined outfit, love the delicate pastel colors.